In September 2018, the Abdullah Gül University (AGU) was approved to become an official signatory of the Magna Charta Universitatum, the “Great Charter of Universities” which lays down the “fundamental values and principles of the university” and “[encourages] strong bonds among European Universities”. 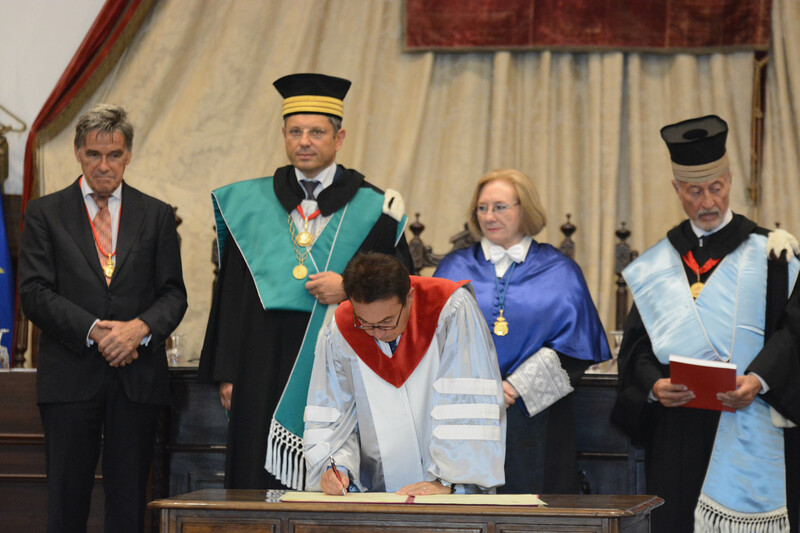 Abdullah Gül University Rector, Prof. Dr. İhsan Sabuncuoğlu officially signed the Charter on behalf of the University, during the Ceremony in celebration of the 30th Anniversary of the Signature of the Magna Charta Universitatum, held in Salamanca, Spain. More information on the signing ceremony can be found here. The Magna Charta Universitatum can be read in full in 49 languages on the official Magna Charta Observatory website HERE.